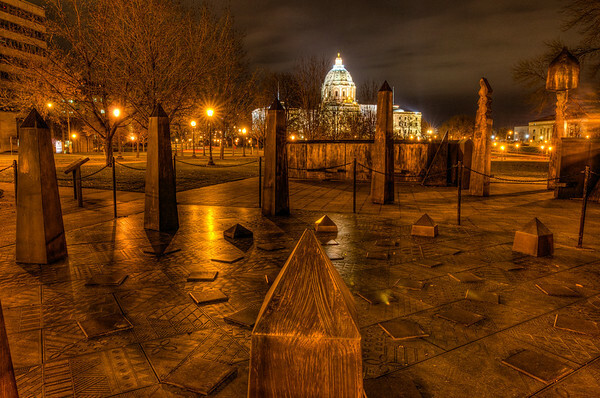 Okay this will be the last post on the State Capitol memorials. 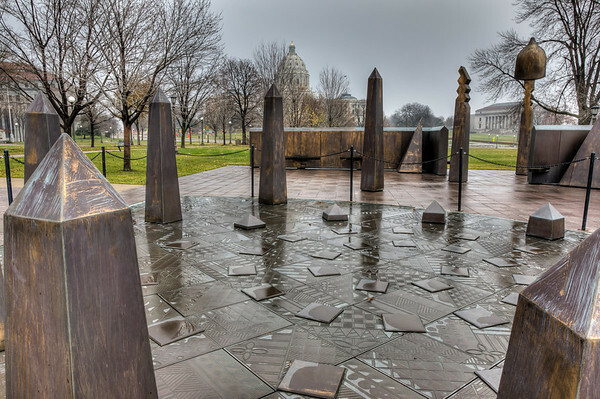 Here is the Spiral of Justice which is a tribute to Roy Wilkins who was a big part of the civil rights movement in the 60’s. It’s an interesting memorial with lots of texture. Not the easiest thing to photograph though. There’s no elevation in the area where you can look down to get a good view of the spiral. See more in the State Capitol gallery.